Storyteller Diane Ferlatte believes that telling and listening to each other’s stories enables us to understand each other better. Many of Diane’s stories emphasize empathy, tolerance, respect for others and the environment. She also includes historical stories along with her personal tales. Diane views storytelling as a traditional art form that can promote literacy, imagination, and values in the young. As she enhances her storytelling with music, songs, sign language, humor and audience participation, her energy, enthusiasm, & joy is infectious. 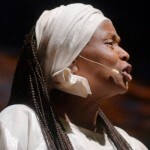 While Diane has traveled the globe for over 20 years telling her stories on six continents, she has received numerous honors including the National Storytelling Network’s Circle of Excellence Award, the National Black Storyteller’s Zora Neale Hurston Award, as well as the California Arts Council’s highest ranking. 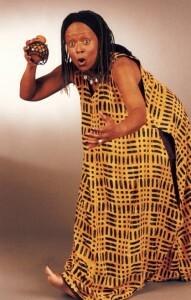 All eight of her recordings have also won awards including those from Parents’ Choice, the American Library Association, National Parenting Publications, the National Youth Storytelling Pegasus Award, Storytelling World Awards, iParenting Media, Children’s Web Music, as well as a 2008 Grammy nomination.